List Rules Vote up the regrettable video games that are clearly the low-points in their respective franchises. Failure is the greatest teacher, and even the mightiest heroes stumble every once in a while. When it comes to video games, some of best franchises of all time are still weighed down by terrible entries to the canon, titles so bad they sometimes derailed an entire series with their release. Huge budgets, talented staff members, and franchise loyalty are not always enough to ensure a game's success; sometimes the problems run deeper than anyone could have anticipated. Poor gameplay mechanics, lackluster storytelling, game-breaking bugs, and dull characters can each bring a game down in short order. Then there are those special games that seem to have all those problems at once, plus a bunch of new issues for good measure. Call them cheap cash-ins or the black sheep of video game franchises - they're the worst of the best, the games that threatened to permanently ruin the reputations of their heroes. Some of the biggest video game flops came after series hit on high notes, while others are symptomatic of an aging franchise's slow decay. Whatever the reason, we should be thankful many creators actually did figure some stuff out after releasing borderline-unplayable titles. Hotel Mario could have easily ended the franchise before gems like Mario Galaxy or Mario Odyssey were even ideas in Shigeru Miyamoto's head. 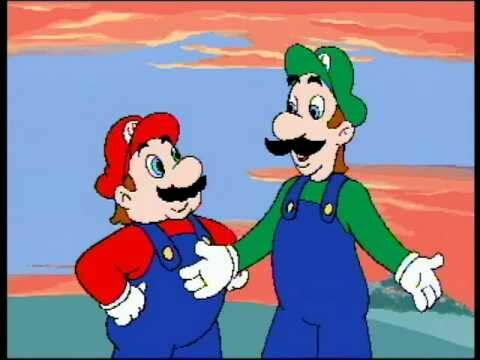 Released exclusively for Philips CD-i in 1994, Hotel Mario was terrible enough to spawn decades worth of memes after it's cringe-inducing cutscenes were uploaded to YouTube in 2006. The general plot of the game sees Mario and Luigi searching for the kidnaped Princess Peach, who is apparently being held in one of Bowser's many Koopa hotels. The gameplay consists of running through the hotels, closing doors, stomping Goombas, and not much else. It's important to note this game wasn't actually developed by Nintendo; it was instead licensed to a developer called Fantasy Factory and published by Philips Interactive Media. They are responsible for this monstrosity, but Nintendo does deserve some of the blame for trusting outside developers with their most famous franchise. Is this the worst title in the series? The story of the Mass Effect franchise is one of the most disappointing in gaming history. Bioware's first two games are universally acclaimed, but soon after EA acquired the developer in 2007, things started going south. Many saw Mass Effect 3 as an unsatisfying conclusion to Commander Shepard's story, but overall the game was pretty well-received as the final chapter of the trilogy (especially after the release of the "Epilogue" DLC). Mass Effect: Andromeda is a different story. Plagued by "inconsistent writing" that "keeps telling instead of shutting up some and just showing," the game never lives up to the high standard established by the series's earlier entries. Poor facial animations and boring dialogue options stifle one of the most memorable aspects of the series, creating meaningful relationships with the colorful cast of characters. Add in a lack of focus with countless sprawling side quests and it's hard to feel the magic that made the franchise special in the first place. If you are familiar at all with the Bomberman franchise, one look at Bomberman: Act Zero's "edgy" art style should tell you everything you need to know about the game. Gone is the cartoonish, adorable Bomberman we knew and loved. He's been replaced by some gritty Iron Man/Hellboy hybrid that is disturbing on so many levels. IGN described the game as "one of the worst remakes in the history of video games," and that may be an understatement. All the series's charm is stripped away, and what's left is a generic title that provides nothing but a decidedly not Bomberman aesthetic. For a series based on a movie franchise, some of the Alien games have been surprisingly good. Aliens: Colonial Marines is not one of those games. IGN described Colonial Marines's gameplay as "forced and entirely superficial," and it holds a 3.9 user score on Metacritic. Unlike Alien: Isolation - which actually has some genuinely scary moments - Colonial Marines is a pretty generic run-and-gun that turns the predatory xenomorphs into simple cannon-fodder.